Cachaça (pronounced ka-SHAH-sa) is one of the most unique spirits in the world. Essentially a rhum agricole—from Brazil rather than the French island of Martinique—cachaça is distilled from raw sugarcane juice rather than molasses (like 99 percent of rum on the planet). 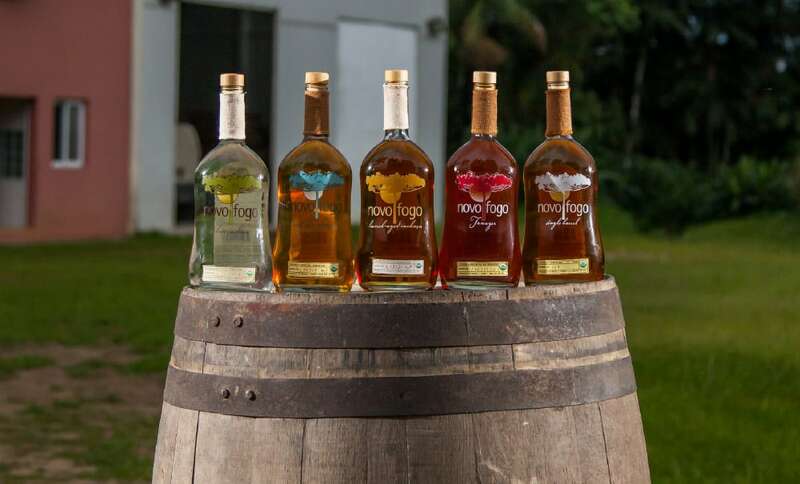 The vibrantly funky spirit, known as hogo in its native country, can only be made in Brazil and has been in production since the 1500s. While it’s the most consumed spirit in Brazil, cachaça is only just beginning to become popular in the United States. As more and more bottles become available stateside, there’s never been a better time to explore this exotic category of spirits. With flavors ranging from light and fruity to extremely funky and almost earthy, there’s a cahaça for every palate. To make exploring the South American spirit easier, we compiled six of our favorite cahaças available in the U.S. now. If you’re a rum lover, this spirit is destined to become your new favorite. Another great gateway bottle that will help you acquaint yourself with the unique flavors of cachaça, Novo Fogo Silver is as funky as it is vibrant and fresh. One whiff of this spirit reveals its true character—as you put the glass to your nose, you can literally smell the Brazilian soil in which the sugarcane was grown. The first sip reveals a symphony of tropicality, first with bursts of mango and overripe banana, and then with a touch of tart passionfruit. With a hint of salinity and an earthy, mushroomy funk on the finish, the spirit becomes almost savory as it leaves your palate. When it comes to making Brazil’s signature cocktail, the Caipirinha, there is simply no better spirit to use as the base.